How many body scrubs have you tried in your life? I can tell you that mine is in the dozens. Body scrubs tend to be that last minute purchase i add to my basket at Ulta as a way to indulge myself. Not sure I really believed in the benefits until I tried Frank. Have you heard of Frank? If you've met Frank than chances are you are exclusive with Frank. I'm not afraid to try a product once and with Frank's all natural ingredients plus insanely affordable price, it was a no brainer. 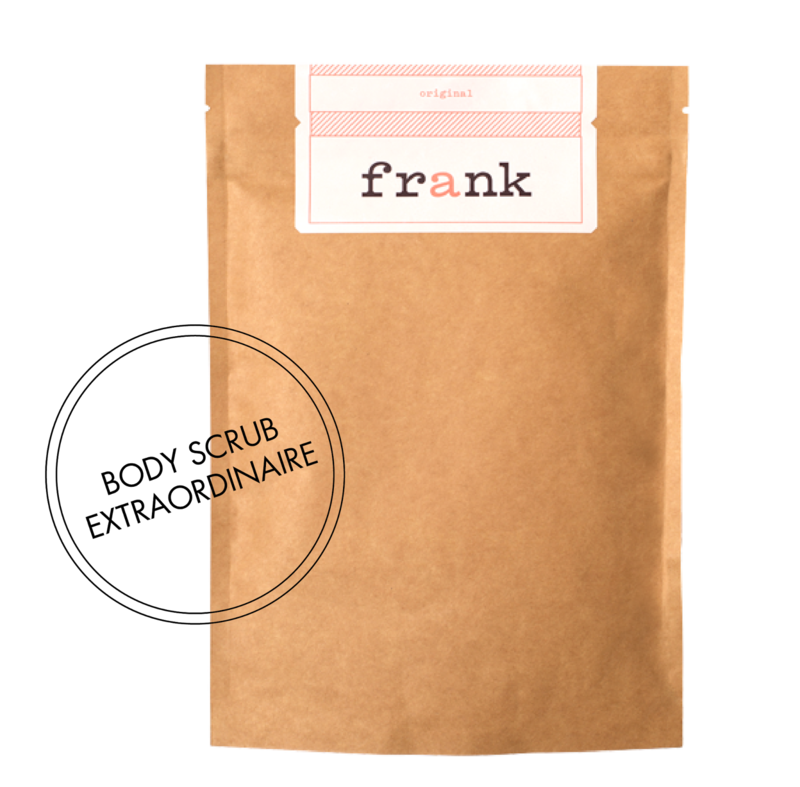 Frank claims to target cellulite, stretch marks, psoriasis, varicose veins, eczema and acne. If you've only checked off one of those as a symptom of your skin then I know you're still paying attention. Frank works with a simple application process of rubbing mixture on skin on circular motions. After scrub has been applied you must leave Frank on for 10 minutes or so. This is where you get small tasks done where you can be standing naked. I caught up on Game of Thrones and painted my nails before rinsing in the shower and finding my skin incredibly soft. My skin was hydrated with no need for a lotion application before bed and not over oily where I couldn't crawl in my sheets. I didn't start using Frank with any severe symptoms but can't deny the results shared on social media by other customers. Plus, will I ever turn down soft skin? Negative.